Why isn't the scientific community working on this!? Save the cures, give me my dog/lobster! the dog is missing a finger. 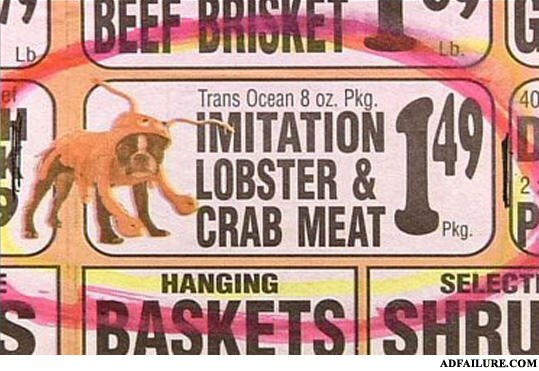 Yo dawg, i heard you like crabs, so put a dog in your crab... wait, whaaaaaaaaaaaaaaaat? You're not fooling me cause I can see the way you shake and shiver! Why I don't eat Chinese food. What's in my sushi then? Don't worry, it tastes like chicken. roo try robster, is rerry nice! !